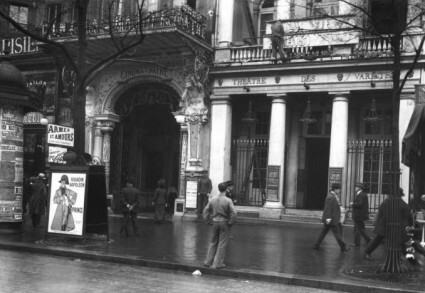 Cinéma Pathé next door to the Théatre des Variétés, boulevard Montmartre, 1913, from Gallica (http://gallica2.bnf.fr/ark:/12148/btv1b6927366c). Note the poster for Rigadin Napoleon, starring Charles Prince. Gallica is the digital library of the Bibliothèque nationale de France. Established in 1997, today it contains just under one million digital documents, including 150,000 monographs (over 90,000 of which are word-searchable), 675,000 pages from over 4,000 periodicals, over 115,000 images, 9,000 maps, 1,000 sound recordings, 5,500 manuscripts and 2,300 music scores. Content comes both from the BnF and a range of partner libraries. It is unquestionably one of the outstanding digital resources worldwide, and one which anyone with a serious interest in researching silent cinema will want to use, however limited their French might be. To begin with, Gallica is reasonably Anglo-friendly. There is an English language option (plus Spanish and Portuguese), with basic user guidelines, though introductory texts remain in French. The front page includes the main Search option and link to Advanced Search. This offers a thorough range of options, allowing you to refine searches by title, author, text, date, language, broad subject, document type and access type (i.e. free versus paid-for content). Look also for the link to Themes, providing a handy way into what can a bit bewildering at first on account of its sheer size. One you have identified a newspaper that you are interested in, you can add it to you digital collection (an option provided for registered users), view the plain text, or view the scanned document. When you click on the document, check on the left-hand side for the page number where the search term you have used can be found, because the full digitised newspaper will have turned up, and it is necessary either to scroll through page by page or you can type in a number and go direct to the desired page. Your search term will be highlighted in yellow on the page. 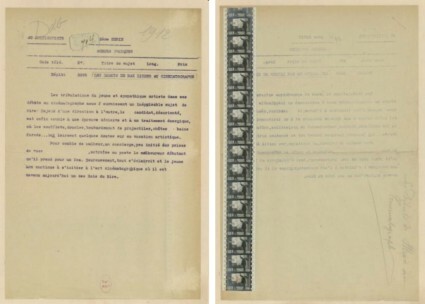 You can download pages as PDFs, print them, email the refernece to yourself, or even listen to the citation for the selected newspaper – in French, of course. There are also full screen and zoom options, as well as a range of other options to assist your searching and browsing. 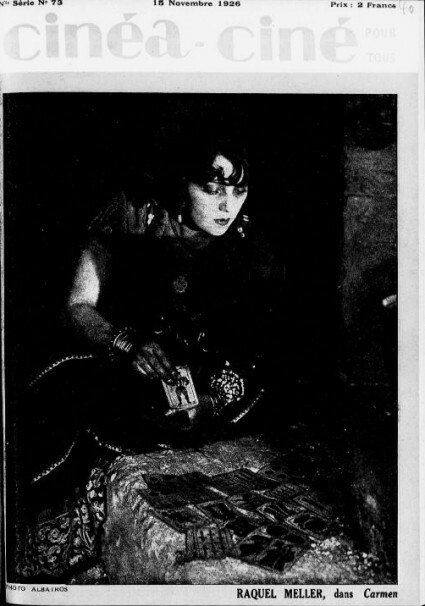 Given the scarcity of silent era film journals online generally, this is an absolute treasure trove all by itself. Most important among them is Cinéa, which was the focal point for intellectual debate on film culture in France at this time. Gallica is an amazing resource, and one which has been in the news recently. 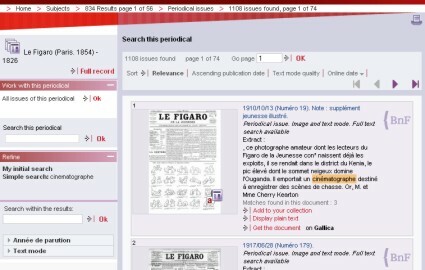 It has been billed for some while now as France’s answer to Google Books, and it was announced this week that France is making further moves to counter the Anglo-Saxon hegemony by developing a still more extensive online portal, based on Gallica, by establishing deals with publishers an private companies (including Google?) to build up all-encompassing French digital library. Last month Nicolas Sarkozy announced that €750 million would be allocated for the ongoing digitisation of France’s libraries, specifically to counter the threat represented by Google’s plans for extensive digitisation of out-of-copyright works (Google Books is currently ten times the size of Gallica). Gallica will be the outlet for this digital activity, as will the European digital library, Europeana (which will be the subject of Bioscope post some day soon). At any rate, we are all going to be the beneficiaries – all the more so if we can only brush up on our French. I’ve added a new category to the options of the right-hand side of the Bioscope, ‘digitised journals’, and I’ll go back over the blog and mark all those posts that have covered digitised newspapers and journals under this category as a reference aid. And look out soon for a post which will round up newspaper digitisation projects around the world which are relevant to our area.